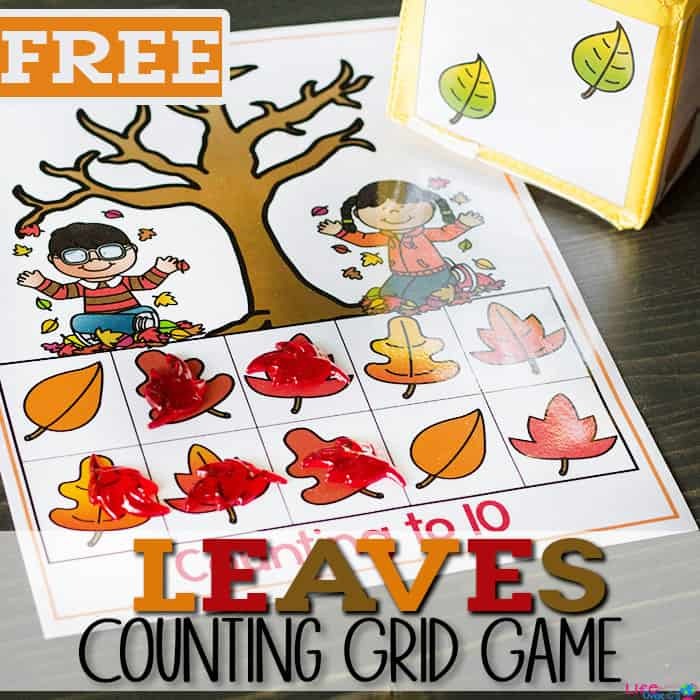 We are in love with counting grid games! My daughter loves tossing the cubes and is even starting to actually ‘throw’ the cube instead of just picking which picture she wants it to land on and carefully placing it on the table…lol! I love the freedom that counting grids give us and they are such a fun way to work on counting skills! 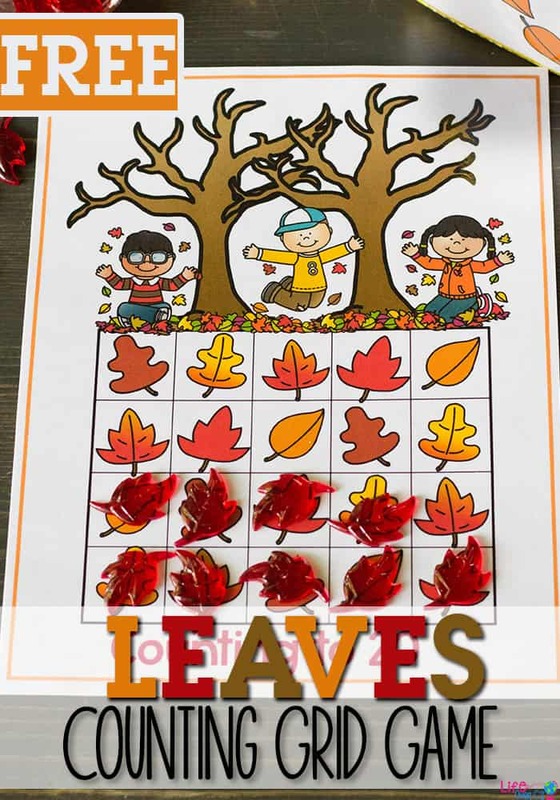 This set of free printable fall leaves counting grid games for preschool (or kindergarten in our case…) is a fun fall themed game for math time. 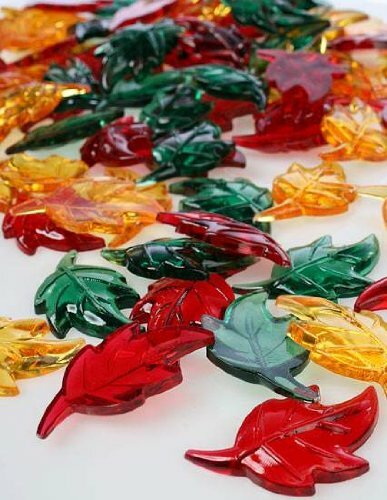 To Prepare the Fall Leaves Counting Grid Game: Print the file found below. 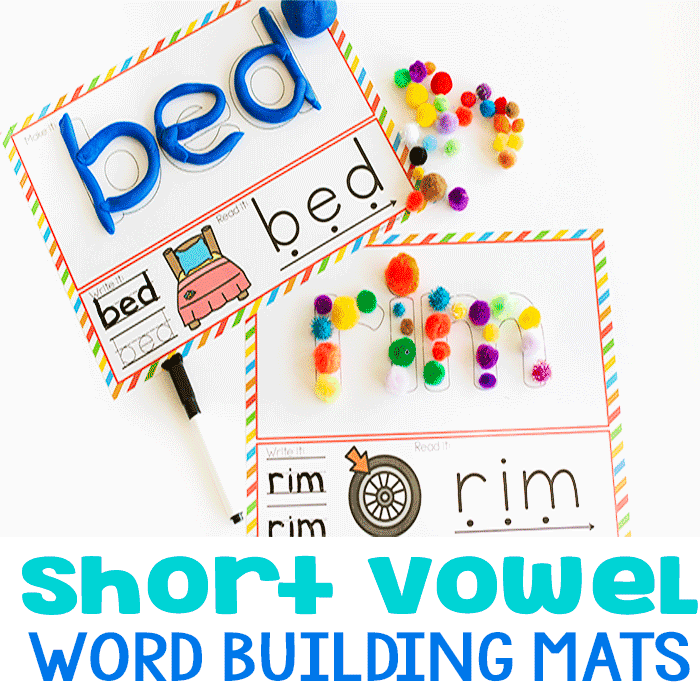 Laminate the counting grids and the large cube inserts if you choose to use those. 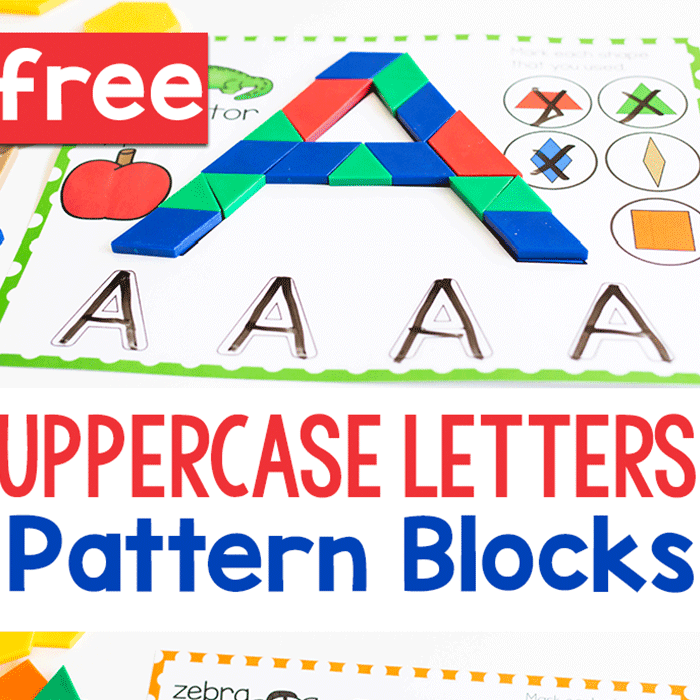 To use the printable cube, simply cut on the outside line and fold on the inner lines to form a cube. Tape the edges to hold the cube together. If you choose to use the larger cube inserts, cut apart the dice cards and place them inside the windows of the differentiated instruction cube. Please note- there are two sets of cube inserts and cubes included. One has the numbers 1-3 twice and the other has the numbers 1-6. I recommend using the 1-3 cube with the counting to 10 game as it will make the game last longer. For the counting to 20 grid, you could use either cube. 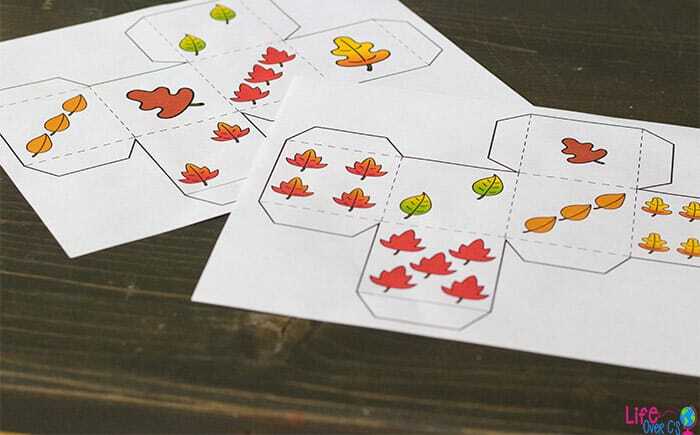 How To Use the Fall Leaves Counting Grid Game: Roll the cube and place that number of math counters on the spaces of the grid. 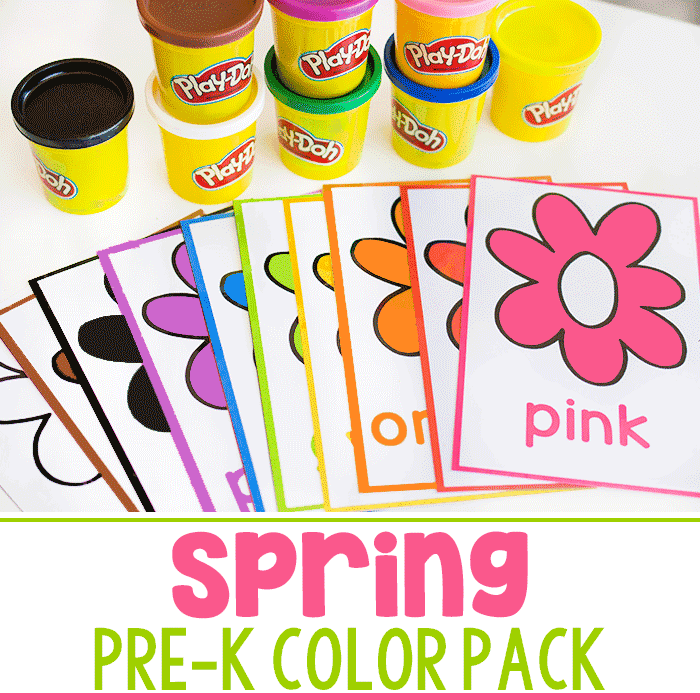 Let your child decide where to place them. There is no right or wrong way to use the grid. 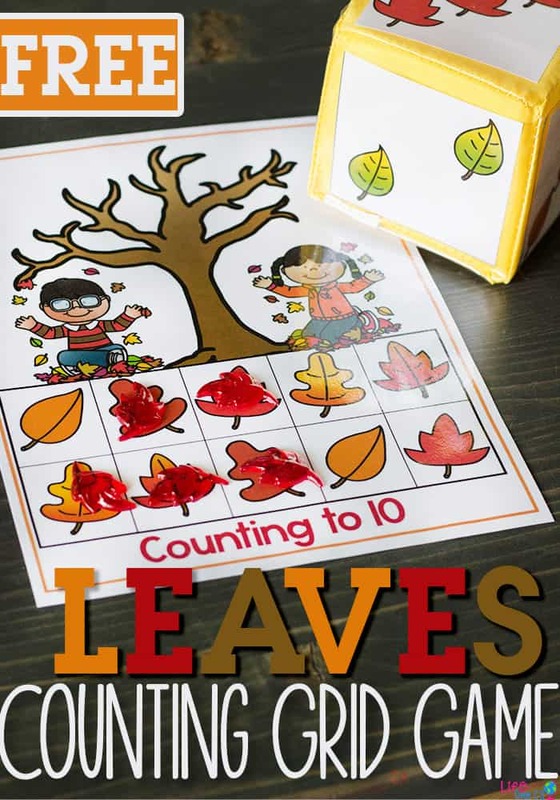 We’ve had fun using the dice alone and counting the leaves and also using the ten-frame by itself to practice counting all the way to 10. 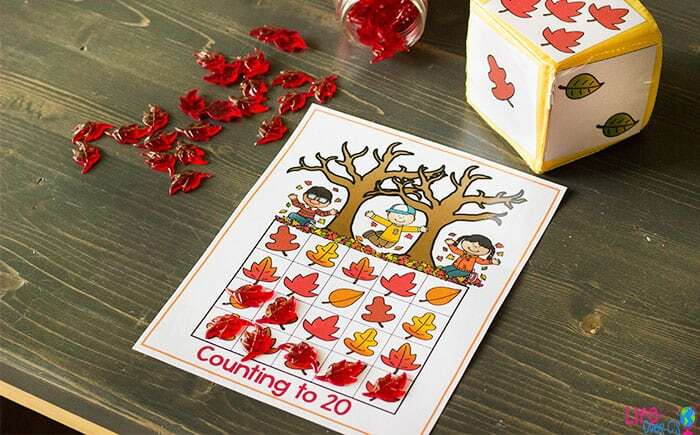 Right now we are working on reinforcing one-to-one correspondence, so I am having Shiloh touch each leaf in the ten-frame and on the dice as she counts them. Otherwise she gets a little ahead of herself and starts counting with ‘2’ instead of ‘1’! 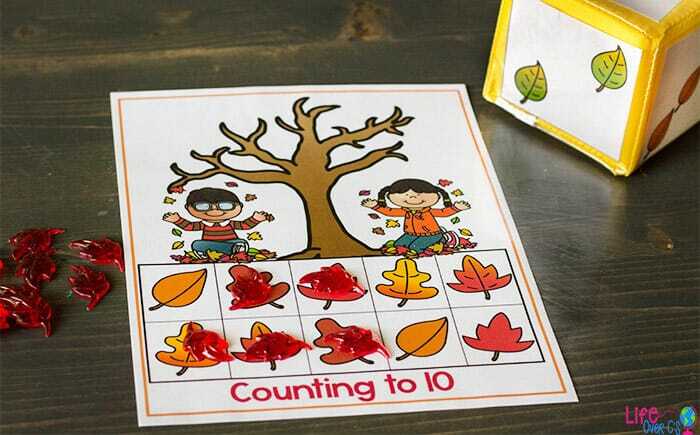 One-to-one correspondence- teaches the child that each leaf is “1”. Addition- all of the numbers rolled “add” up to the total number (you can also use 2 dice and add the numbers together on each turn.